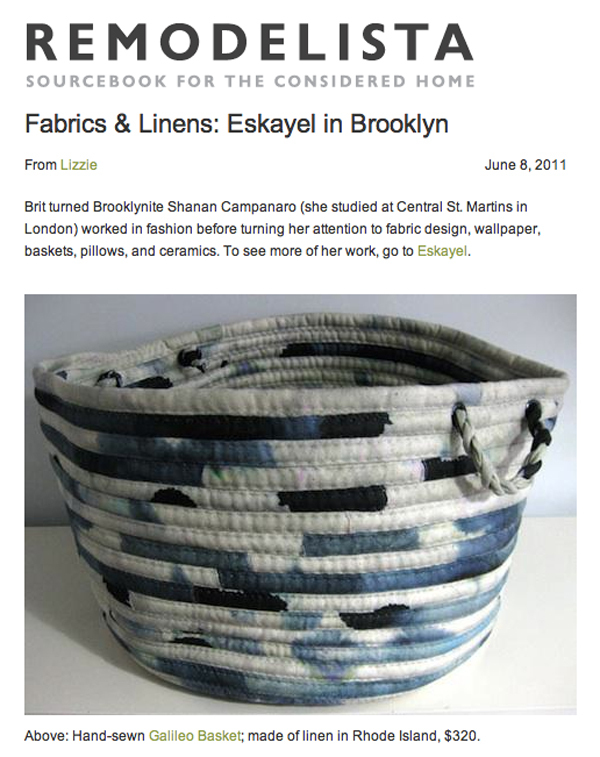 We are so excited and thankful to be on Remodelista for the first time, they featured our new linen baskets. But I should correct, that even though I did complete my BFA at Central St. Martin’s in London, I am not a Brit, I am from California originally and have been in Brooklyn almost 9 years. Below is a really cute post from the Martha Stewart website giving a glimpse into their editor Yvette’s workspace. I love the colors in the photo on her computer screen. Houzz did an incredible feature on our products and said so many nice things about each pattern. 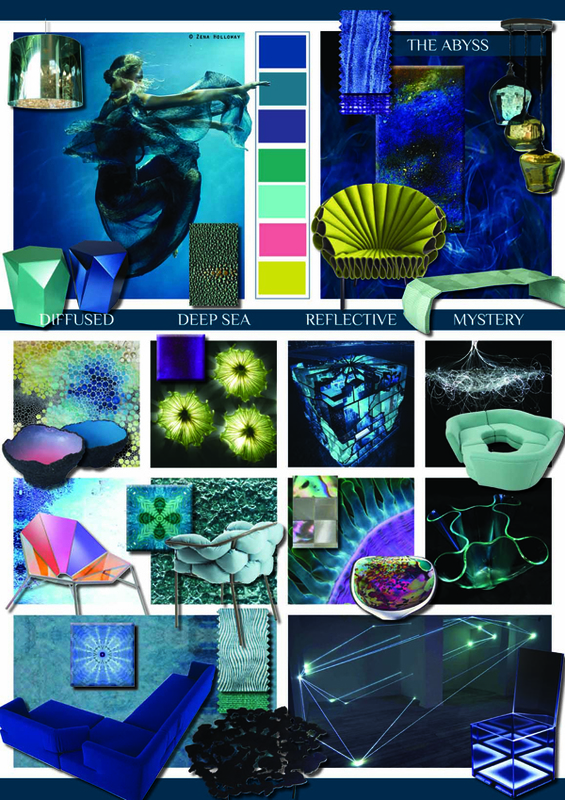 Also we were in cluded in the Abyss trend board from Scarlett Opus. 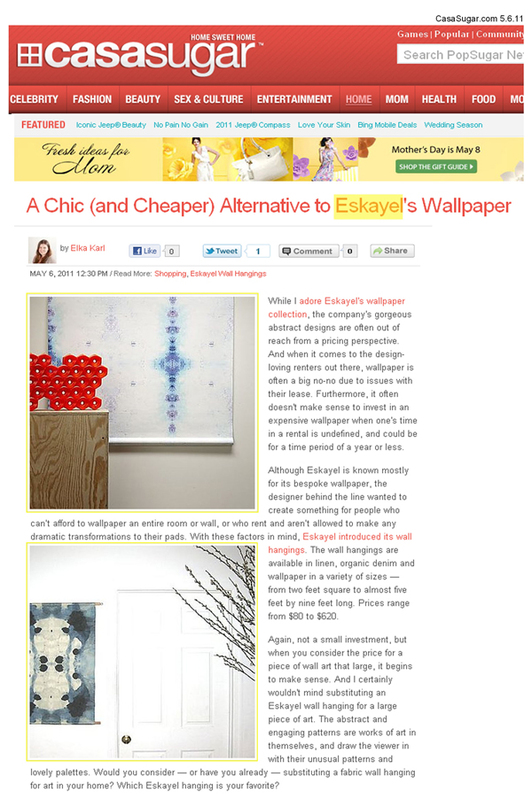 Lastly, thank-you always to Apartment Therapy and CasaSugar Casa Sugar for your continued coverage of Eskayel! Apartment Therapy just did an article on the top 10 Brooklyn wallpaper designers and we would love to add Grow House Grow, Jill Malek, and Soy Este to the list.